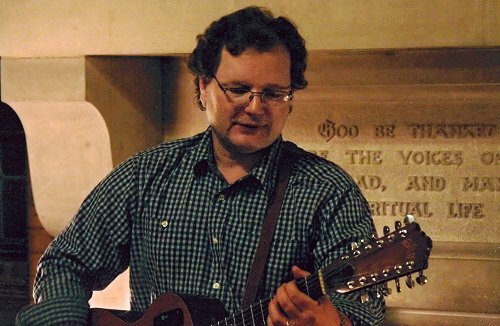 Michael Jerling is nominated for Folk/Traditional Artist of the Year in the Capital Region Thomas Edison Music Awards (The Eddies). This is the inaugural edition of these awards, established to amplify, empower and celebrate professionals working in the area's wide-ranging music scene. The awards ceremony will be held at Proctors, in Schenectady, on April 14th, starting at 6pm. 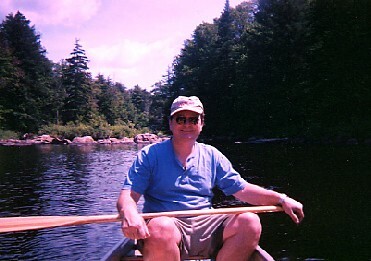 Michael, born in the Midwest, has lived and worked in Saratoga Springs since 1979. 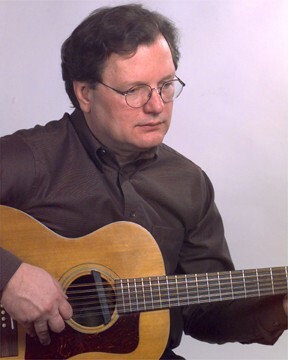 In 1993, he was a winner in the "New Folk" competition at Kerrville; the competition, held annually in Kerrville, TX, is one of the most prestigious competitions for songwriters in the country. In 2018, Michael released his 11th album called "Family Recipe," with 12 new original songs. He is touring this year in support of his new album, which reached number 8 on the Folk DJ Chart. Back in 2007, he wrote a humorous tune called "My Acceptance Speech," for his 2007 album "Crooked Path." I guess he won't have to write a speech! "Halfway Home" is a collection of 14 new songs, my first CD of all new material since "Crooked Path" (2007). It was recorded at my own Fool's Hill Studio, with musical help from Tony Markellis, Teresina Huxtable, Danny Whelchel, Danny Gotham, Victor Sanders, Kevin Maul, Mike Vlahakis, Don & Victoria Armstrong, Bob Warren & Joy Mackenzie, and Dale Haskell. 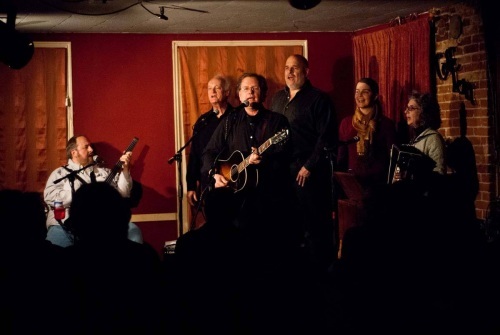 We celebrated the release with a concert Saturday, January 4th at Caffè Lena in Saratoga Springs, NY. On June 30th I recorded an evening of music at Caffè Lena in my hometown of Saratoga Springs, NY. The result will be a new CD called "Music Here Tonight" which is scheduled to debut on Friday, September 25th at the old coffeehouse on Phila Street. I was joined onstage by Tony Markellis and Teresina Huxtable and cheered on by a group of patient and enthusiastic friends and fans. Though recording live was nerve wracking, we did manage to have some fun, and I am very pleased by the musical result. 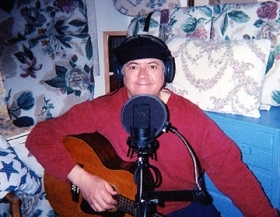 The CD will feature 18 songs spanning my nearly forty years of writing and performing. Many of the tunes were by requested by folks on my email list, and there is one new song, the title cut, "Music Here Tonight". The CD debut concert, for Crooked Path, at Caffè Lena was a great evening. Thanks to all who turned out. Hope you had as much fun as we did! My whirlwind tour out in Wisconsin brought me to some cool new venues including the Big River Theater in Alma WI, and the Park Theater way up north in Hayward. Special thanks to all of the volunteers there and to WOJB for all of their help. I shared the stage with my old pal Mike Quick on these shows. We used to work together many years ago in California and it was a treat to play some tunes together. He's got some beautiful new songs which we've been whipping into shape for his new CD. Also had a fine time at Jake's Supper Club in Menomonie, WI, where I was part of a Songwriter's Night with the irrepressible Larry Heagle, Quick, and myself. Great songs and bad jokes galore! 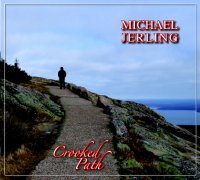 I'm happy to announce the release of my newest CD, Crooked Path. The album includes thirteen original songs with musical help from my friends Tony Markellis, Teresina Huxtable, Larry Clyman, Danny Whelchel, Bob Warren and many other talented folks. We will celebrate the release with a concert Saturday, September 8th at Caffè Lena in Saratoga Springs, NY and with upcoming dates in PA and WI. Check out the tour schedule for the times and places. The Mystery of the Missing Blogger continues. 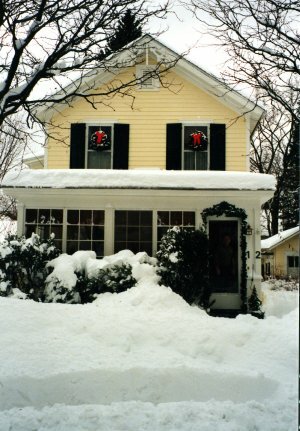 Big news this past year was the move from our beloved little Victorian house (little being the problem). Dealing with twenty some years of accumulated memories was difficult, but dealing with the twenty some years of accumulated STUFF was downright scary. Why DID I keep a broken car radio from an old 1987 Ford Taurus? Beats me. I felt like an archeologist uncovering strata of civilizations past, piled one upon the other. When I finally reached the garage layer which contained pink lawn flamingos in their original packaging and my wife's childhood figure skates I knew I was near the end. Then the basement... NOOOOOOO!!!!!! Anyway we're settled in our new abode and I've finally got my studio up and running again and I'm trying to finish up a new CD. I'm Mr. Slow, wah, wah, ooh. The launching of a Fool's Hill Music website, www.foolshillmusic.com, complete with a CD store offering not only my wares, but some great CDs from friends and clients of the studio, including the release on CD of Huxtable, Christensen & Hood's "Melancholy Babies"! The release of a benefit sampler CD "Saratoga Pie", which includes cuts from many fine local artists. A new song of mine "Why They Run the Race" is included (click here to listen to a clip). You can also find this on the FHM site. I'm looking forward to getting out on the road and performing a bit more in the coming months. I really miss it . If only I didn't hate booking so much. Oh well. "What does he need a web page for anyway? ", you may well ask. Indeed. At the rate and frequency that I communicate, I may as well write with a quill pen and send it over the ocean by a slow boat. 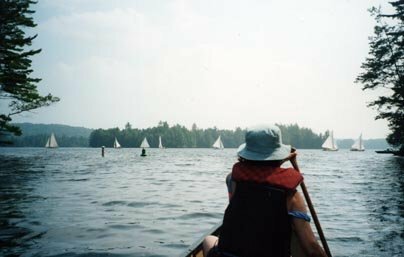 A slow boat with sails. Oars. Let's see, what's up? Writing a bit and working towards a new CD. I seem to be less prolific these days, but I like what I've been coming up with, and enjoy honing the songs in my home studio. Still a bit obsessed with that side of things, and I have some exciting news about a newly released project by my old friend Michael Quick. His new CD, "Down Bullfrog Road", is now available! I had the pleasure to produce and record it mostly at Mike's home in rural Wisconsin. The tunes span a wide range of musical styles (no wonder we're friends, huh?) and there are guest appearances by fiddler extraordinaire Randy Sabien, Teresina Huxtable (I heard of her), Tony Markellis and many talented Friends of Quick. I even managed to worm my way into a few tunes. Visit his web site at www.mikequick.net. Other interesting projects - My song "Doubter's Prayer" has been included on Volume Three of "Before Their Time", which is scheduled for release in October 2004. The CDs are the brainchild of Michael Whitman, and benefit hospice and suicide prevention programs in New England. The list of great songwriters who have contributed is impressive, and I am, if it is possible, both humbled and proud to be included. 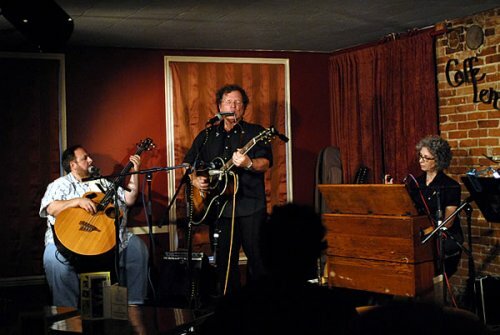 Other CD projects coming out of Fool's Hill Studio include the long awaited CD release by Lake George songwriter and performer, Gary Moon, in the next few months, and a new project with local bluesman and martial arts instructor Mark Tolstrup. On the personal side it was like all summers - over before I knew it. We had lots of family and friends come to visit, which comes with the territory when you live in such a lively little town as Saratoga. My brother Dave kept saying in envy - "I hate you", when he'd see some new restaurant or streetside attraction. Of course the perogative of being a local is whining about the crowds and traffic and pushy tourists, but it IS a great place to live. Now if the rest of these boneheads would stop moving here and building huge million dollar houses in every open field and grove of trees... Sorry - "Down Curmudgeon!!!" 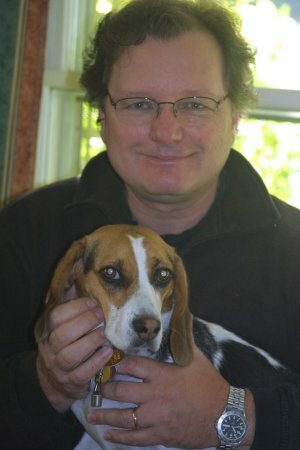 And speaking of commands like "down", we have a new beagle dog named Nellie, now a little over two years old. We adopted her last August from the ASPCA. 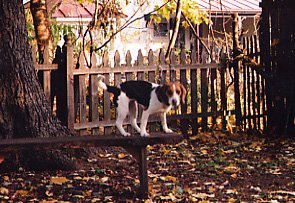 She's a small beagle with a big job - keeping the Homeland free of squirrels and all suspicious squirrelly activity. Though she has yet to catch one, it took me a while to realize (not being raised in the country like she was) that her loud screeching at the base of the big tree in our back yard translated as, "I've got the damned thing treed, now go get the gun!" Well, we live in town and shotguns are not often brandished in our neighborhood. My non lethal alternative is to spray the squirrels with the hose. This seems to satisfy her, and keeps me out of jail. Seems that I'm always a season or so behind with my updates! Just returned from my second three week trip to the Midwest in the past 3 months. This last trip included a week of fishing with my brothers Bill & Dave, and two of their buddies north of Atikokan, Ontario. It was wonderful to get back to such wild and beautiful country. More fish stories to follow. My main task was to complete the recording the tracks for my friend, Mike Quick's new CD. 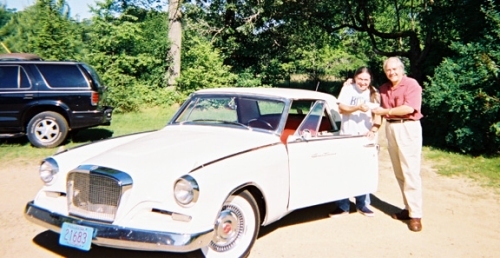 Had a full schedule of musicians coming by to help out including many Wisconsin music luminaries including Howard "Guitar" Luedtke, who owns a beautifully restored Studebaker Hawk (see photo), members of the Mighty Bullfrogs, Quick's longtime band of "eclectic hipsters", and many others too numerous to mention. Now I just have to get all of these tracks organized! This CD is going to be a good one. Also squeezed in a concert at UW-Eau Claire which was very enjoyable indeed. A lovely summer evening, an appreciative audience including many old friends, and just a few mosquitoes for karmic balance. A real treat for me (see photo, below). OK, a couple of fish stories (NO, don't leave yet). Caught an 8 lb. Walleye and a 9 1/2 lb. Lake Trout within 40 minutes on the last day in a beautiful bay on White Otter Lake (on jig and a leech with 6 lb. test, for you anglers). My arms were tired! 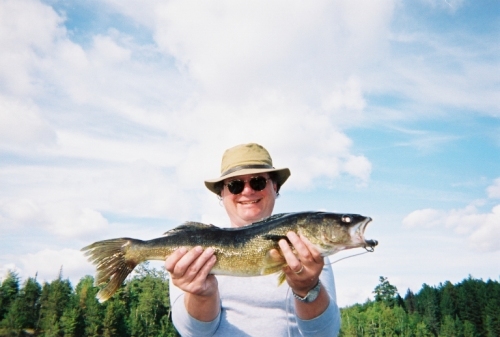 I let those big boys go, but ate lots of smaller Walleye during some great shore lunches with my brother Dave presiding over the frying pan. Earlier in the week, I was landing a good sized Northern, when my brother Bill noticed that the Pike had another fish crossways in it's mouth! Landed the 30 inch Northern and a little Smallmouth in the same net! You can ask Bill. OK, one more if you insist. We were catching some nice eating size Walleyes hand over fist . I netted a fish that threw the jig just as it flopped in the net. As I was holding up the net to show the other boat, I must have dangled the jig in the water, because before I knew it I had hook another Walleye in my left hand. I landed it in the net with the other fish still in there. Bill saw this too. I've got a feeling signed affidavits may be required. Apologies to those who didn't sign up for Field & Stream. It is good to be back home. It certainly has been a winter to remember in the Northeast. Spent many days in my office feeling like Dr. Zhivago, albeit with a computer monitor instead of a frozen inkwell. Still, the lengthening days give witness to an eventual Spring. I hope. So much has happened since my last report, which is probably because that was six months ago! Some highlights - the Northeast Regional Folk Alliance (NERFA) at Kutsher's Resort in the Catskills. An authentic Borsch Belt hotel where Henny Youngman, and Shecky Green had to have appeared. A bit frayed around the edges, but I enjoyed it. But then I actually LIKE borscht and pickled herring. Lots of great music throughout the weekend, but the highlight for me was the ice storm that knocked out the power in the entire hotel complex. The music in the hotel rooms went on into the wee hours anyway, with candles as lighting. Romantic fun, if a little bit of a fire hazard. My favorite moment was in the hotel cocktail lounge (which stayed heroically open until at least 4 AM) as a flashlight illuminated Eric Schwartz performed a spectacularly raunchy parody of an Irish drinking song as a very game sign language interpreter for the deaf, used some gestures that just CAN'T be in the textbook! Also in November, Bob Warren's CD release party for "Clear Connection" at Caffè Lena packed the house for two shows and the Caffè stage with guest performers. Bob had everything but pony rides on stage, but somehow it all worked (and fit) and some fine music was made in the process. Some other projects that I had a recording hand in were released, including Cara Satalino's fine CD, and one from Kate Blain's first recording "The Good Life". A family note - My wife Teresina's father, Robert Huxtable, had an article and illustration published in the January-February issue of Adirondack Life. Bob is an accomplished artist and Mohawk Valley Renaissance Man, but this reminiscence of a trip to an Adirondack logging camp with his country vet father, was his first writing effort (at 85!). Pretty amazing. April will find me back in the Midwest for a few weeks (see the Tour Dates page for details), and I'm going to begin a new recording project with my old pal Mike Quick, in Wisconsin, where I'll bring my portable recording rig along and start work on Mike's first solo CD. Hope to see you at a show soon! As usual summer has burned by in a flash. Let's see, some highlights... Had a very enjoyable June tour out in Wisconsin and Minnesota? Played an outdoor/indoor concert (thanks to a summer shower) at my old school in Eau Claire. Ended up the show in the Cabin coffeehouse, which always brings back floods of memories (flashbacks?) from my early musical days. Lots of requests for songs I forgot I wrote! Got in some fishing, and a memorable picking party with a spectacular electrical storm included, lots of visits with old friends and family. Had several very pleasant outdoor concert series in July including Troy, NY (a beautiful concert setting) and a shared bill with Danny Gotham (and some giant mosquitoes) way up in Norwood, NY, and got up in the Adirondacks for some canoeing, fishing and general R & R.
August in Saratoga is a three ring circus with the racetrack, Saratoga Performing Arts Center, and downtown revelries. Lost my share of cash hosting family at the track, took in the Philadelphia Orchestra on the lawn, and Bonnie Raitt and Lyle Lovett show from the fourth row (thanks to Tony's connections), and tried not to succumb to road rage while fighting the traffic to get across town to the supermarket. A very appropriate wrap-up to the not quite end of summer was a benefit concert put on by my good friend John Kribs at his place for about 200 close friends! 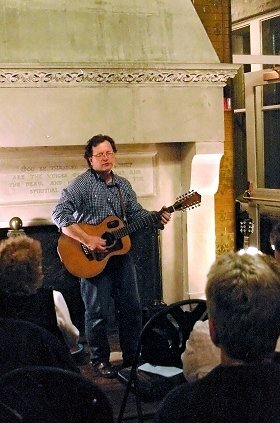 The concert benefited The SAM fund, Southern Adirondack Musicians Fund, a new nonprofit organization started by John to aid local musicians who run into to financial trouble, medical or otherwise. Lots of fine musicians appeared including, the Racquette River Rounders, No Outlet, Bob Warren, The Stony Creek Band, and an all star bluegrass jam with members of the McKrells and others. A great day for a good cause! Finished up recording work Bob Warren's and Cara Satalino's projects, both which are due out this fall, and it's time to get back to business and get some dates booked! The new CD, Little Movies, was well and officially launched at Caffé Lena on March 30. Had a fine crowd of many longtime friends and fans and a some new faces as well. Although it was difficult to move on the little stage, we got all the players up there. Held together by our bassist and spiritual leader, Tony Markellis, the band sounded great, with Bob Warren adding great harmonies and guitar work, Teresina pumping on various bellows, and Danny Whelchel joining us on drums for the first time in live performance, doing an excellent job, and not scaring a room full of folkies hardly at all. No blizzard, no ice storm ... what more can you ask for? The weekend prior, I joined the Lightfoot Tribute Band who gathered in Saratoga for an evening of their hero's music, and donated the proceeds to the Caffé. It was a pleasure to play a couple of songs to and with these friendly folks brought together by the Internet, and their common love of Gordon Lightfoot's music. While I was working near home, Teresina and Tony headed for Cambridge, MA, where they were part of the house band at a concert honoring (and featuring) Rosalie Sorrels at the Sanders Theater. Celebrity guests included, David Bromberg, Loudon Wainright III, Christine Lavin, Peggy Seeger - well anyway, it must have been quite a night! Little Movies seems to have been well received by acoustic music radio, reviewers, and my small but loyal audience. Looking forward to a fairly busy tour schedule this spring with stops in New England and the Midwest. Having some fun in my home studio, putting down some tracks for Bob Warren's much anticipated new CD (due out in the fall), a guitar and voice session with Saratoga Guitar owner, Matt McCabe, and a weekend session which included a CD's worth of amazingly mature songs from a young singer songwriter from the area, Cara Satalino. Keep your eyes and ears open for her! Lots of news. Just back from the Northeast Regional Folk Alliance in PA, an exercise in sleep deprivation and musical overload that was actually great fun! Ran into many old friends and heard some remarkable music from them and some new (to me) performers. Special thanks to Scott Petito & Leslie Ritter for giving me an impromptu slot in their Friday showcase room. With a lineup that included them, Ben Murray & Siobhan Quinn, Kim & Reggie Harris, The Kennedys, GrooveLily, Ann Hills, Eric Garrison, there was no need to leave the room, but that was just one of dozens of showcases going on until the wee wee hours. Mind boggling. Also big thanks for the Medium Rare Cafe folks from VA, who invited me to perform in a wonderful "guerrilla" showcase in their hotel room Saturday. Could go on and on but there is too much other news. The new CD, Little Movies, is going into the homestretch. My old friend, Jim Roche, in Wisconsin, is finishing up the graphics and we're hoping to get the thing out by January/February on my own new label Fool's Hill Music. We're arranging to have a secure credit card setup on this site, and www.waterbug.com will continue to offer my full catalog. Stay tuned to this channel for the latest. 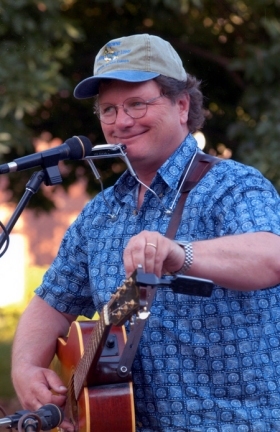 Jim was my first musical partner back in college days, and it is great to have him involved with this project, as well as having two other longtime musical buddies from Eau Claire, Mike Quick and Tom Wieseler, making contributions to the song, Last Natural Man. Photos from Paula Rosenberg, musical help from Tony Markellis, Teresina Huxtable, Kevin Maul, Bob Warren. This recording will be worth waiting for! Speaking of recordings, I'm also thrilled to find that my song, Long Black Wall, will be included on an upcoming CD from Smithsonian Folkways celebrating twenty years of Fast Folk Musical Magazine! Title is yet to be announced, but they are looking at a February release. You can get the latest by visiting www.si.edu/folkways. I am now officially a museum piece. Have also had the pleasure of working with some fine friends and musicians in my home studio. Bob Warren is finishing up work on his latest recording and has done many of his vocal and guitar tracks here. This will be Bob's best recording ever. Trust me on this. 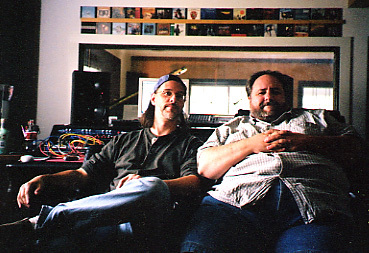 Also had a great time mixing the tracks from a No Outlet CD project that John Kribs recorded at his home. No Outlet is Kevin Maul, Tony Markellis, and Dale Haskell, doing an unplugged blues trio. Blues is just the foundation though, with songs from the Beatles, CCR, Herb Alpert, Louis Jordan, and a few of Dale's fine originals. Good, fun stuff! Keep your head up and your heart open in these difficult times. Music can help. Click here for a preview of the new CD, Little Movies. Finishing up work on recording a new CD of 14 or so new tunes. Doing things a little differently this time - set up a home recording setup (ADAT and computer based) and have been immersed in the amazing and mysterious land of technology. Sometimes it's fun, but sometimes the phone rings, or the dog barks, and/or the garbage truck goes by in the middle of an irreplaceable magic musical moment. Fortunately my comments taped during these moments are erasable. All of the vocals, and guitars, some keyboard and bass tracks have been done at home, but I went to my good friend Scott Petito at NRS Studio in Catskill, NY for the percussion and drum recording (played with finesse by Danny Whelchel). With the able assistance of Tony Markellis the session went as calmly and professionally as usual. I plan to mix the CD at NRS when the time comes. You can't go wrong with Scott if you're considering a project of your own! And you can't go wrong with bassist Tony Markellis, who is once again adding his considerable low-pitched talents to this project, and is currently awaiting the results of the Grammy Awards next week, because Phish's performance of a song that he co-wrote with Trey Anastasio and Russ Lawton has been nominated as Best Rock Instrumental! Fingers crossed. Tony will soon be out on the road with Trey in late February, early March on a short tour - but you can't go, all of the shows are already sold out! You CAN stand outside in a tie dyed ensemble and beg for tickets, though. Hope to finish up the recording in early spring, and I've been wrong too many times to predict other than it will be available in 2001 (Editor's note, 11/2001, "wrong again"). Stay tuned to this website for the latest developments! Returned safely from the long journey to the Kerrville Folk Festival in Texas. It was great to get back there after a six year absence, and my friend Bob Warren and I enjoyed the rounds of the campfires, the Ballad Tree song swaps, the mainstage acts. Just camping in the beautiful, Texas Hill Country, and chatting with old friends and watching the diverse band of characters that call the festival home for 18 days each year is entertainment enough for me! We lived in relative ease amid the dust and mud in Bob's Toyota camper (The Little Camper That Could), "I think I canning" up the hills and rolling down them with ease, passing dead armadillos, tarantulas the size of lunch plates, snakes, and other exotic flora and fauna as we took the backroads through miles and miles of Texas. Had two great house concerts on the return trip - the first in Norman, OK (Thanks Glenn and Marsha), and the second in Knoxville, TN at the home of our old Lake George, NY friends Jim and Carol. Thanks to them, and to all of the friendly people we met at the two shows. These were first-time house concerts for both of our hosts and most all of the audience, and I think everyone found it a positive experience. Bob and I sure did! If you're interested in putting on a house concert yourself, e-mail me and I'll give you some info. Time to mow the lawn. Even so, it's great to be back home. Just got back from a short (3600 miles short) and enjoyable tour of my homeland, the Great Midwest. 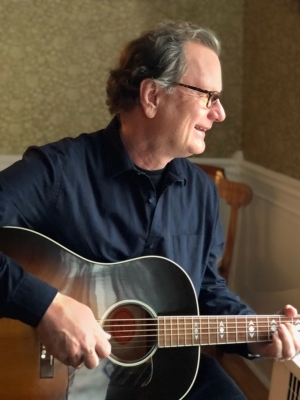 Had some very pleasant dates (The Amherst Coffee Co. in Amherst WI, and the Wisconsin Singer Songwriter Series in lovely Cedarburg WI particularly stand out), and had some wonderful visits with old friends and family out that way. My brother Bill got me out on the golf course and we both broke 70 (on nine holes). Drove the Great Circle Route from Milwaukee to a show in Traverse City, Michigan through the U.P. (that's the Upper Peninsula of Michigan for you effete Easterners) and was amazed anew at the great beauty of the Northwoods and Lake Michigan's shoreline. If you think a pastie is something the police make strippers wear, you've never been up that way. Have been writing and trying out new material, and hope to start recording soon. Don't know when this will be finished or on what label it will be out on, but that never stopped me before! Planning a road trip to Texas in June to camp, hang out, and play music at the Kerrville Festival. It has been too long since I've been back and really look forward to the heat and fire ants. I'll be travelling with my old pal and fine singer-songwriter Bob Warren, and we will be doing a few shows together on the way. It will be a pleasure to have Bob's RV this time instead of my pup tent! Hope I see you along the way!